A backwards compatible PS5 will arrive in 2019, according to an analyst, but do you want one? According to one games industry analyst, PS5 may be closer than you expect. Michael Pachter of Wedbush Securities told GamingBolt that he expects PS5 to arrive sometime in 2019 or 2020 - "but probably 2019" - and that it will likely feel like another half-step forward after the half-step that was PS4 Pro. "It will surely support 4K," Pachter said. "Will it support 240 frames per second? Great. Will it play games that were made for the PlayStation 4 Pro? That’s the question. I think it will. So I think they will build a console that will backwards compatible with the PS4 Pro. So I think it will be perceived by the consumers to be a half step and I think [Sony Interactive Entertainment America CEO Shawn Layden] is telling the truth when he says it will be a full fledged console." The new console will arrive when about half of the US market is using 4K TVs, Pachter believes. These are just estimates, of course, and Pachter isn't always right (no analysts are). But 2019 is a pretty reasonable guess. 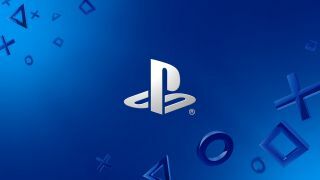 PS4 originally came out back in 2013, and if its true successor arrives in 2019, that would give it a six-year span as Sony's flagship console: the same length as the mighty PS2, and a year less than PS1 and PS3. If you'd rather enjoy the console you already have, make sure you check off our list of the 25 best PS4 games or peruse our list of every game with PS4 support.